THE Federal Government’s plan announced yesterday to reduce the annual cap on migration to 160,000 people for each of the next four years could be disastrous for labour-starved red meat processing, an industry spokesman said today. Under the government’s plan announced by prime minister Scott Morrison, migration will be capped by 15 percent each year, which will reduce the maximum intake by a cumulative 120,000 people over four years. The government also plans to introduce measures to stream a greater proportion of migrants to regional areas and boost the skilled component to these places. The overhaul of the program comes after pressure from various quarters including conservative Liberals for immigration to be lowered. Some 23,000 places will be set aside for regional skilled visas, a rise from 8534 in 2017-18. This 8534 figure represented only 8pc of the total 111,000 skilled migrants; their visas required them to live and work in regional areas only for two years before being able to apply for permanent residency. The new figure of 23,000 will be 21pc of the skilled intake. The government says the new migration program increases the focus on skills, with the number of Employer Sponsored skilled places rising from 35,528 in 2017-18 to 39,000 in 2019-20. Mr Morrison said the government’s plan managed population growth by adopting well-targeted, responsible, and sustainable immigration policies. He warned against those who wanted to run scare campaigns as a result of the announcements, saying they would be taking Australians for mugs. Better targeting the intake would address skills shortages and benefit the whole economy, he said. 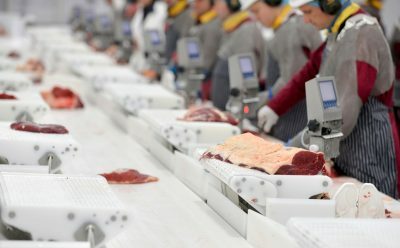 The Australian Meat Industry Council’s chief executive, Patrick Hutchinson said while his organisation welcomed policy change that directed migrant workers to regional areas and those that increase skilled visa quotas, a migration cap would be disastrous for the red meat manufacturing industry. “In the case of red meat processing businesses, the government’s decision will reduce the pool of available overseas workers in low-skilled and unskilled labour positions, impacting the viability of these establishments,” Mr Hutchinson said. “Our research has shown that constrained visa quotas simply do not meet basic labour requirements, especially in rural and regional areas. We have been crying out for government assistance to counter the immense difficulty the red meat manufacturing industry has recruiting and retaining unskilled and semi-skilled workers,” he said. The current visas were not fit for the purpose of creating long-term career opportunities and did not allow for processors to keep people on who started on unskilled visas, but who became skilled due to the investment of time and money by their employers. “Currently the red meat supply chain is also facing a drought of its own — a drought in local workers who are willing to be trained-up in our industry,” Mr Hutchinson said. “We are working with government to tackle this problem, but until such time it is fixed, the government should not reduce access to foreign workers. Most of our members are operating at only 80pc production capacity because many local workers won’t work, and foreign workers are restricted from working. “Cutting migration has no discernible correlation to helping to save jobs and boost unemployment for local job seekers. For many rural and regional areas, the complete opposite is true, as labour deficits equate to a reduction in a business’s viability in the long run and future employment opportunities,” he said. Your comment comes across as the words of a browned-off old leftie unionist, Arthur. My son is financing his uni studies through working casual shifts at a meatworks/value-adding plant near Brisbane. As an unskilled worker, he is on fabulous money. His previous job was flipping burgers for a premium burger chain, where he earned about half, per hour, net, of what he is currently on. He is surrounded by fellow workers from overseas, and loves it. Maybe processing should go back to the old tally days, when everybody finished their tally for the day after 5-6 hours work, and went home, after being paid for a full day’s work? there’s a drought of available workers because they face the lowest working conditions in Australia, that’s why, it’s well know. Aussie workers keep going there and trying and pretty soon sheer off. You get everything from low wages and lousy working conditions to actual abuse and chains and belts accelerated in speed. I guess this comment will be moderated into oblivion. And that’s the way it is. Kept a secret. Meatworking is generally a lousy job and only frightened 457 visa holders frightened to join unions and accustomed to being pushed all the time will fill the vacancies. But: here’s the whole point, of course, the profits the abattoirs make are more than sufficient to pay and treat workers well. More than enough. It is shameful and inexplicable but it has been going on forever.. manufacturers, industrialists, for some reason always grinding down their workers beyond reason. Why? I don’t know. It is never necessary, never was, never will be.